We made it home to Elkhart, Indiana late June and now July, too, is nearly behind us. Our time in Congo has given us a lot to think about and certainly challenges our day-to-day decisions. If you are willing, please pray for the Lord to make it clear how we are to advance in ministry in the years to come. Candice leading a nutrition class in the Dominican Republic. This past month has been filled with much activity. I (Candice) was part of a 10-person team from People’s Bible Church in Indiana to travel to Dominican Republic. We assisted a Kids Alive ministry site in the city of Santo Domingo during the first week of July. 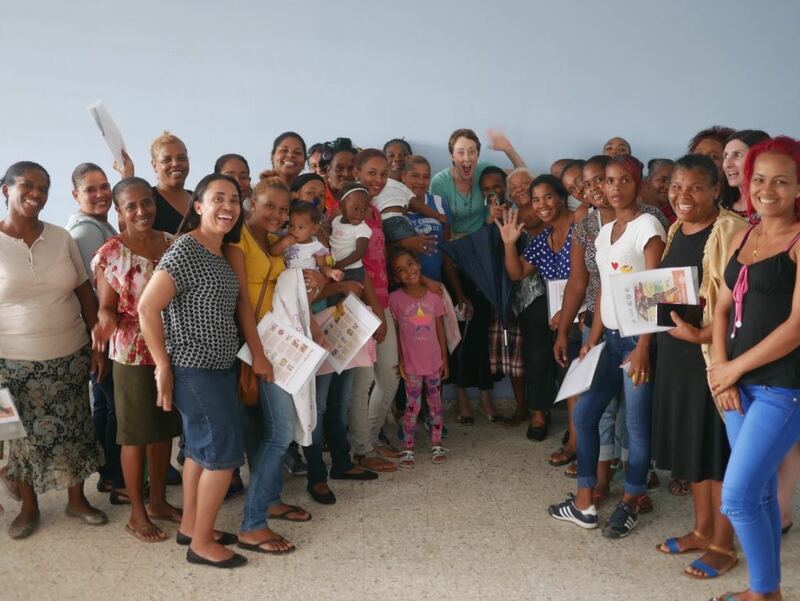 Kids Alive, the same organization I assisted in both Haiti and Peru, is establishing a new school for underprivileged kids in the Dominican and I was able to provide nutrition training to the school’s cooks as well as parents of prospective children. They are set to open the school this August. Tom’s return to the office in Elkhart has been very welcomed. He helped host an Open House at SonSet Solutions, where we work on loan from Reach Beyond. The Open House was held on Saturday, July 22nd and introduced the ministry to hundreds of individuals from the surrounding community. The day included many hands-on stations featuring our technology that is used to advance the gospel worldwide. 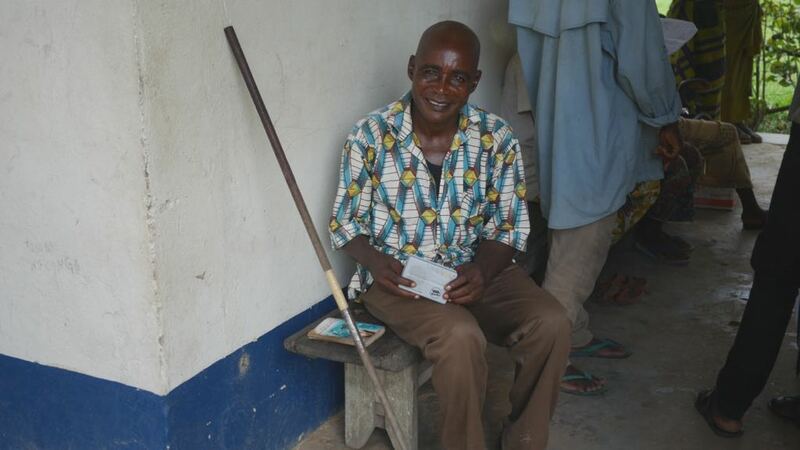 Jean (who we met in Congo) takes his SonSet radio around with him wherever he goes. Tom’s main focus at the office has now shifted to updating the firmware on the new version of the SonSet Radio. When he finishes this, five thousand radios will be ordered for our ministry partners located around the globe.